· The Archdiocese of Milwaukee provides us with some recommendations. In addition, they provide some required days that we need to be off. For example, we have a couple of Archdiocese lead professional development days. · We compare our calendars with the other north shore Catholic grade schools. We collaborate and align a few professional development days as a deanery. This has allowed us to have some very productive and collaborative learning among many great and committed Catholic School educators. 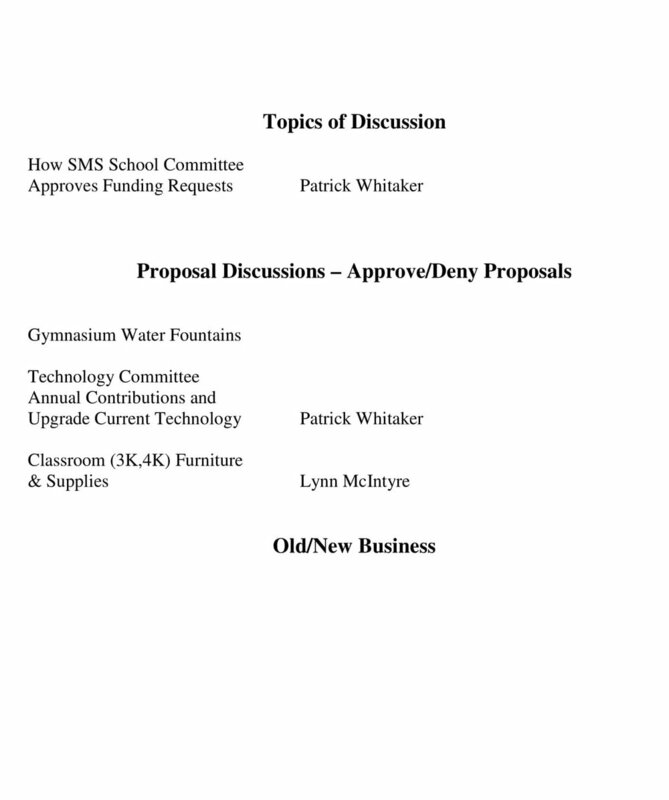 · We also look at our local public school calendar. Understanding that they have some different influences on their schedules, we still take their calendar into consideration. Most of the public school districts, where Northshore Catholic Schools reside, have committed to having Easter/Spring Break the last week of March every year. After much conversation and discussion, all of the Northshore Catholic grade schools will also be having our Spring Break the last full week of March, aligned with the Whitefish Bay public School break. First and foremost, this schedule is the best for the instructional pace of the school year. It helps create better placed breaks, and allows us ample amount of instructional days after the break. When Easter is late, like this year, we return for less than 1 ½ months of school. This is certainly not ideal. We will have a longer weekend over Easter, so families can still enjoy some extra time with family over this very Holy time. We will be sending out a more detailed calendar in the near future, but I wanted to make you aware of this important change to Easter/Spring break moving forward. Next year’s break will be the week of March 23. If you asked many educators about the admissions scandal, I think most would not have been surprised by what happened. There is a societal pressure around college admission that has been gaining momentum for years. It is no longer “if” your child goes to college, but “where”. I have heard countless stories from parents that have spent thousands of dollars to ensure that their child attains a high ACT score. Tutoring companies have become a billion dollar industry. Much of their money is earned not on children that are low performing ,but on those who would like to be accelerated. Students feel pressure to take as many AP classes as they can, and it often results in added stress and undue anxiety. Mental health concerns are reaching epidemic proportions. It is not to say that some students should not be pushed and accelerated, but the problem is that we are pushing too many students where this is not the best path for them. Interestingly enough, this academic pressure is running parallel with our push in youth sports. I find myself caught in flux with athletics because I am a big advocate of athletics and what it can provide for children. However, the emphasis has shifted from encouraging teamwork, hard work, perseverance, and sportsmanship to fostering a win at all costs approach that models cheating, bad sportsmanship and way too much structure for our young children. I have witnessed this as a parent of youth athletes, and have seen things at a youth level that has made me question our nation’s moral compass. I have seen parents and coaches of children as young as six yelling at young umpires and referees. I have seen coaches from teams around the state that berate their players, scream at refs, don’t give all their players an opportunity to play, and overtly cheat. I am left yearning for the “old days” when we did not have organized sports until we were much older, and yet, we played sports constantly. We played in parks, in people’s driveways, backyards, and anywhere we could find the space. We learned to pick teams, play through fouls, developed conflict resolution skills by figuring out the rules, learned to communicate, and appreciated an hour game of “21” or HORSE in the backyard. There were never adults around to tell us how to play fair, but we figured it out. Every summer I do a leadership program with rising juniors from a variety of high achieving high schools around the country. I always leave inspired by their self-reflection and mature demeanors. I also get to hear firsthand some of the stresses that they are under. I will never forget a conversation that I had with a great kid from out East. In a deep small group discussion she opened up to the group about her anxiety and depression. She summed up the college admission stress when she shared a very disheartening story about a dinner party she was at with her family. Her parents were embarrassed to tell the other parents in the group where her sister was admitted into college. They were embarrassed that her older sister did not get into the University of Pennsylvania and had to “settle” for Penn State. As a result, they lied to the group. Watching this, this girl felt the weight of the world to get into an Ivy school. I am sure if these parents could have been given the chance to pay for their daughter to get into an Ivy school they would have done so without hesitation. This conversation has never left me, and it has fueled my motivation to help parents and students realize that success is not defined by where you go to school. Success is defined by maximizing one’s own individual potential. It is important to realize that this potential is not defined by society but by our children when we allow them to guide us. Let us help them find their passion, their life path, and purpose. Let us help them develop a genuine and personal relationship with God. Let us help each of our children to be kind, caring, and compassionate. Help us raise resilient and hardworking children that want to make the world a better place by following their dreams. The scandal surrounding the college admission process was bound to happen, and will continue to happen if we don’t start shifting our priorities. All children have great potential. Let us help them achieve this potential by supporting them in a positive manner. Let’s use the admission scandal as a wakeup call. I heard a great quote that sums up what our goals should be, “Our goal is to not help our children get into Harvard, but to get them into Heaven”. Well, the basketball season is officially over, and I wish to send one more big shout out to the 8th grade girls for their historic run in the Padre Serra Tournament. They lost an incredible battle in the third round of the Tournament on Thursday night, and that team ended up winning the championship....kudos to the girls, the coaches, and our awesome fans for a wonderful season. If you did not see the Weekly Reminder from last week, there were short blurbs about each team from the coaches, which summed up the season quite well. On another basketball note, the 8th Grade vs. Staff basketball game will take place on Wednesday, March 20th at 2:30pm. We are looking forward to a fun and competitive game!! I would like to let everyone know that the March Donuts & Devotions meeting will take place this Wednesday the 20th at 7:30am. I am again looking forward to great discussion with our student-athletes. The Kids Heart Challenge event was extremely successful, and we were able to reach our lofty goal of raising $13,500. We actually raised $13, 725 as a school, with students of all grade levels jumping rope and raising funds. I am pleased to announce that the high fundraisers were Charlotte Wabiszewski with $1000 and Jack Costello with $635. These two will get to put a pie in the face of me or Mr. Landgraf, which I know they will enjoy! Please remember that we will offer track this spring, and the practices will begin the first week of April on Mondays and Thursdays right after school. Can you please let me know if your son/daughter will be taking part on the team this spring, and I can let Coach Gonzales know who to expect. He also does all of the communicating about meets, practices, etc., so I will share your e-mail address with him. Looking forward to a super spring season!! The April 5th Variety Show is almost here and it's time to order your tickets! Tickets will NOT be available for sale at the show, so please order your tickets now and note that seats are assigned on a first-come first-served basis. The form will come home with your mail carrier and is attached to the weekly reminder for your convenience. 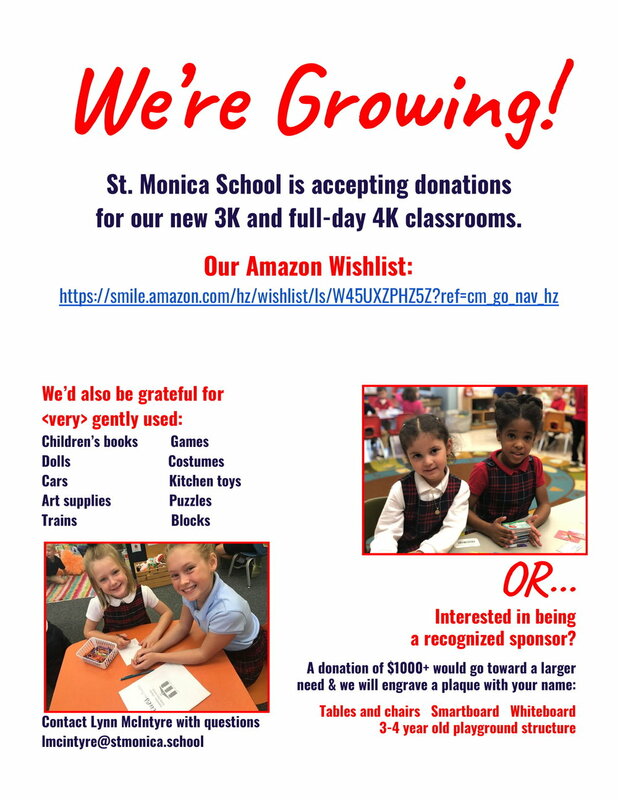 Please make checks payable to St. Monica School. Orders are due March 22nd. If you did not get the chance to sign up your 1st to 5th graders for the annual SMS Sleep Under Party – you still can! This year’s Sleep Under will be Friday, April 12th 6 to 9 p.m. in Donovan Hall! Pizza party, manicures, movies, sports, games – tons of fun! The cost is $40 per child. If you would like to sign your child up, please email Angie Mehring – acmehring@sbcglobal.net and let me know. You can then send a check made out to St. Monica Home and School for $40 for each child attending and put Sleep Under in the memo and put in an envelope labeled Angie Mehring, Sleep Under and route to the office. Go to www.mkecodeclub.com for more information!